I love spiced Beer in the winter and right now I’m sipping on my third “Christmas Beer” of the week. I guess its time to share some favorites! #1 Harpoon Winter Warmer-5.5% A favorite for years. We started buying a case of this every Thanksgiving when we lived in Atlanta. Reminds me of Apple Pie. Sweet and spicy but very drinkable. They carried it Market Square last year. #2 Sweetwater Festive Ale– 8.6% Not as spicy as the Harpoon but still tasty. Dark ale with clove and cinnamon. Very malty and full bodied. They just started carrying it in the 16oz bottles at New Leaf Market. #3 ‘t Smisje Kerst- 12% A Belgian Spiced Ale that is AMAZING. Dark copper brown, Huge head, sweet and bready like most Belgian ales. Very spicy with pear and cherry tones. I just discovered this brewery and have to try more by them! Picked this one up at New Leaf also. Time to make a trip to the Liquor Loft and see what they have in stock this season! 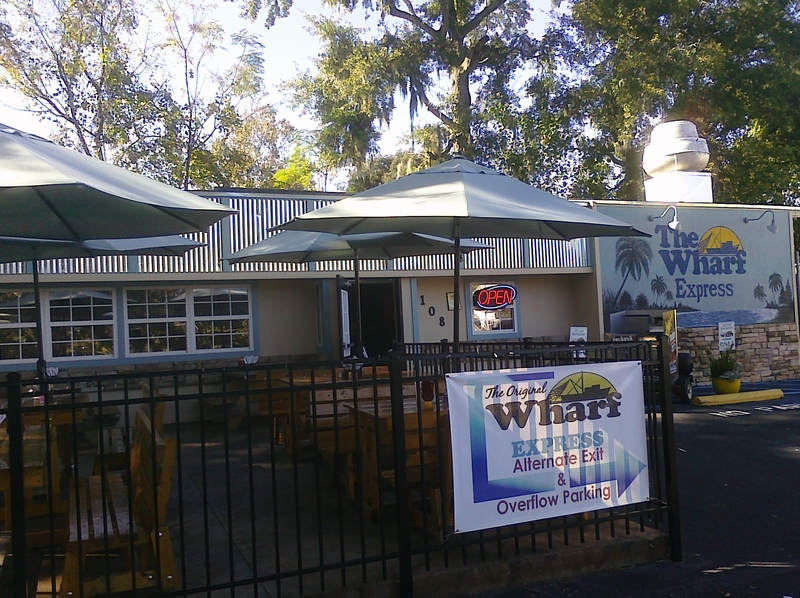 Kool Beanz is one of the top restaurants in Tallahassee and probably my favorite. They describe their food as Modern American Cuisine. 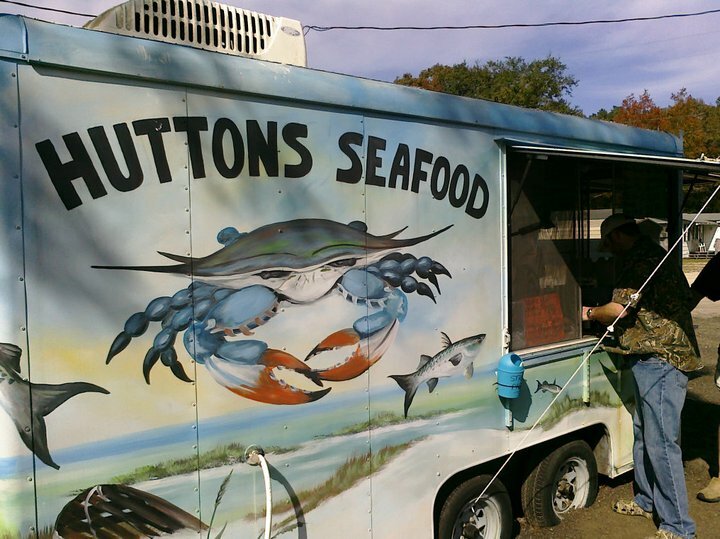 You can get fantastic fresh seafood, amazing fried chicken or flank steak. 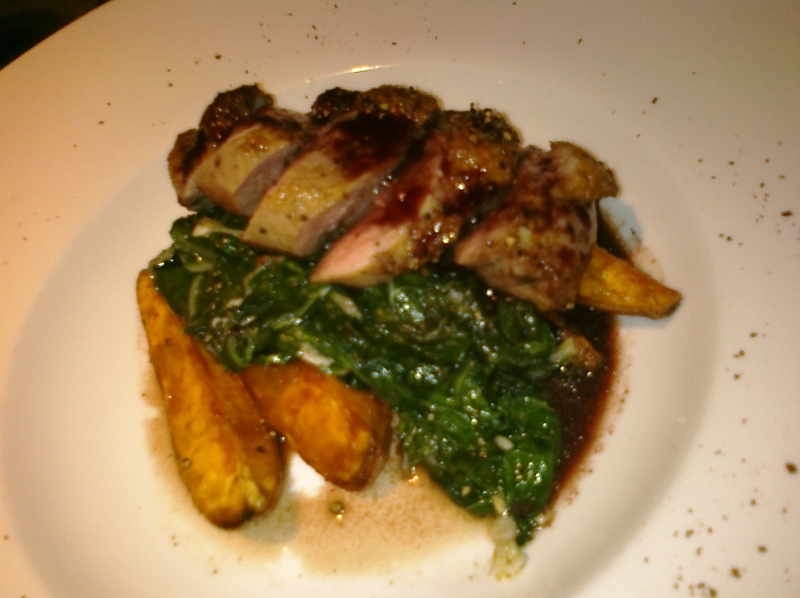 All their dishes are prepared with thought, care and deliver fantastic flavor. KOOL BEANZ!! So hard to pick what my favorite thing last night was! Top 3: Local Clams in an amazing Thai style sauce (did everything I could not to lick the bowl clean). Perfectly Spicy Crab Cakes over a really delightful herbed aioli. 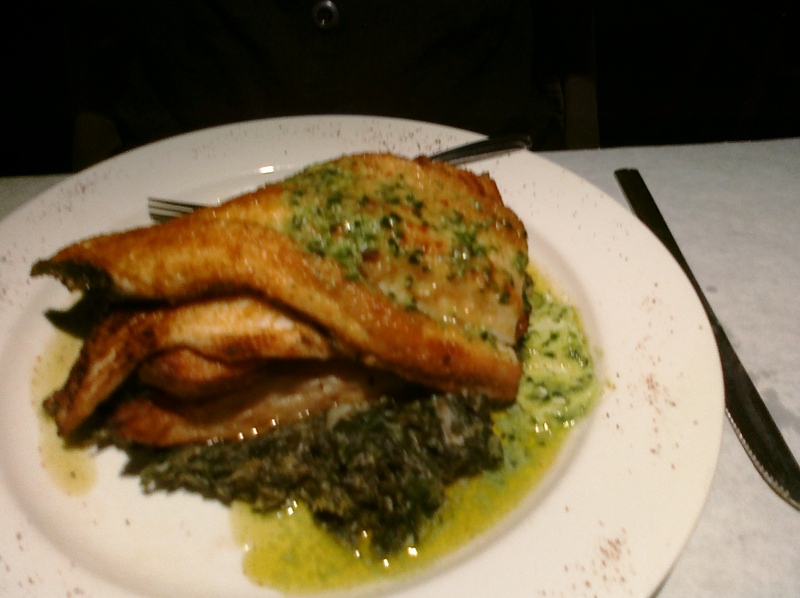 My Pan Seared Trout over Creamed Spinach with a lemon herb butter. They make their own butter and serve it at ROOM TEMPERATURE (the way it’s supposed to be), everything is cooked to perfection. Their wine is fabulous… you just gotta go. We like sitting at the bar overlooking the kitchen. Its live Food Network! They have also added great outdoor seating. The Menu changes daily depending on the season… Here are a few of our recent plates. GO… You will not be disappointed! I’ve been embarrassed when friends visit and want to go out for seafood here in Tallahassee. 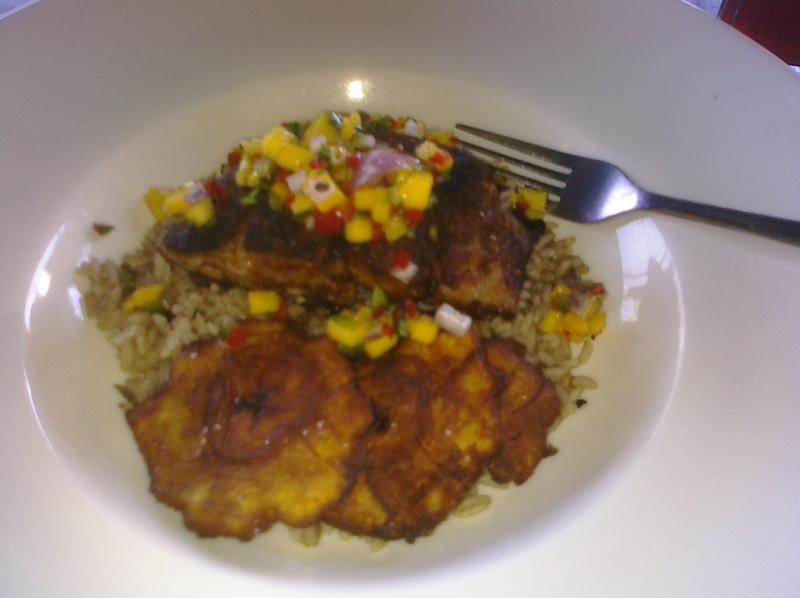 Sure we can go to a nicer restaurant for Grouper or Snapper- Or drive an hour to the coast for dinner. 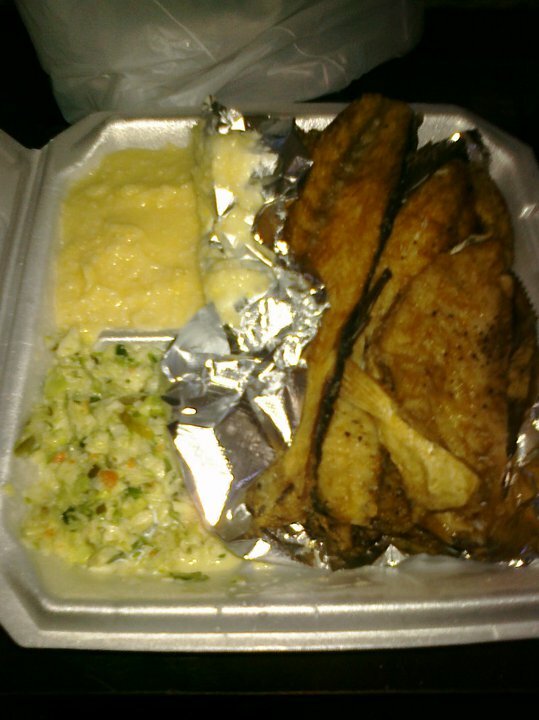 But until recently there have not been any places in town that have good fried fish. Thats changed with the Wharf Express opening in several locations in town. 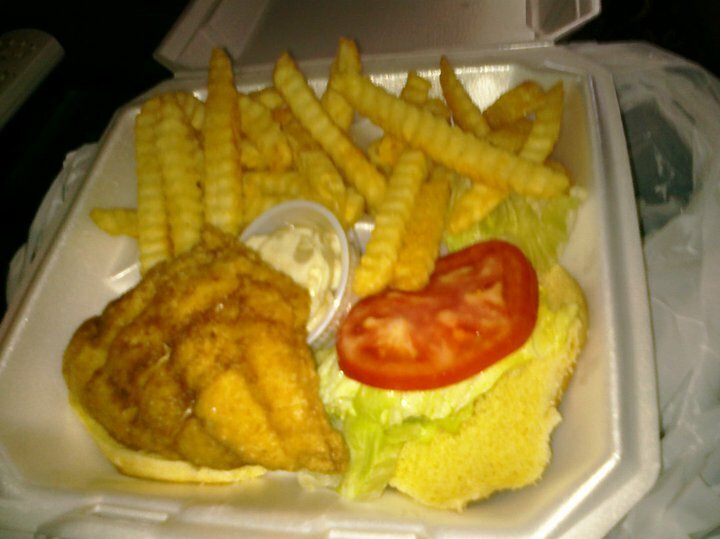 I prefer the one off Magnolia and the parkway- the old Catfish Pad location. Free WiFi and a nice outdoor seating area. 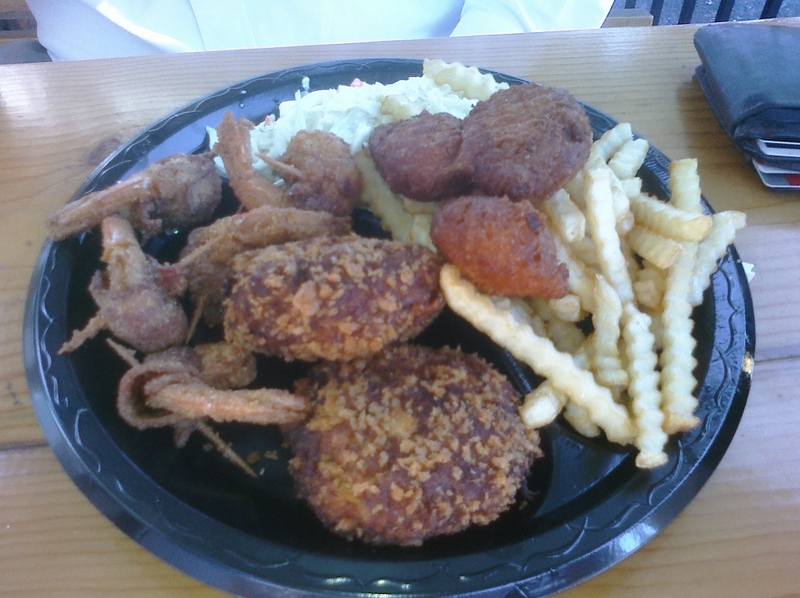 You can get a plate of fried Mullet for $9 or the Panacea Platter is Shrimp, Oysters, Crab Cake and Mullet for $13! Cheese Grits are good, Crab cakes are tasty and the prices are right! 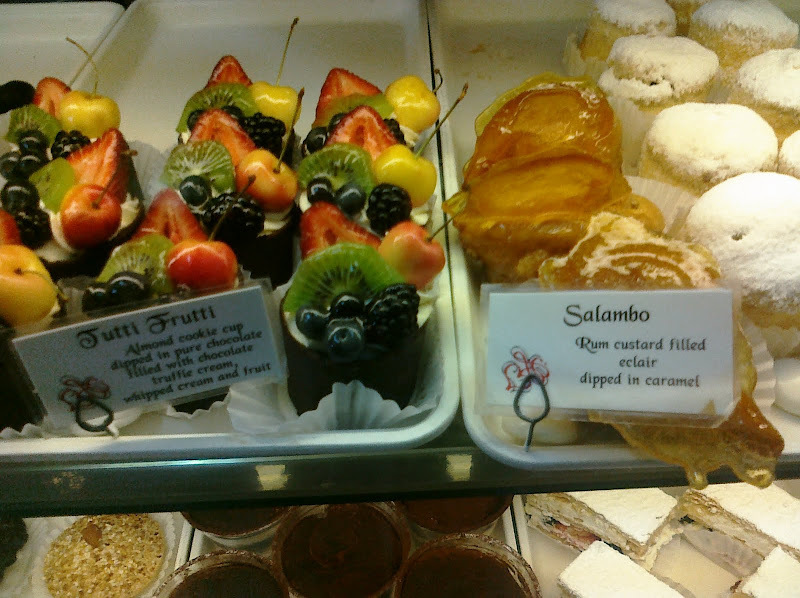 A French Bakery in Tallahassee- you bet! 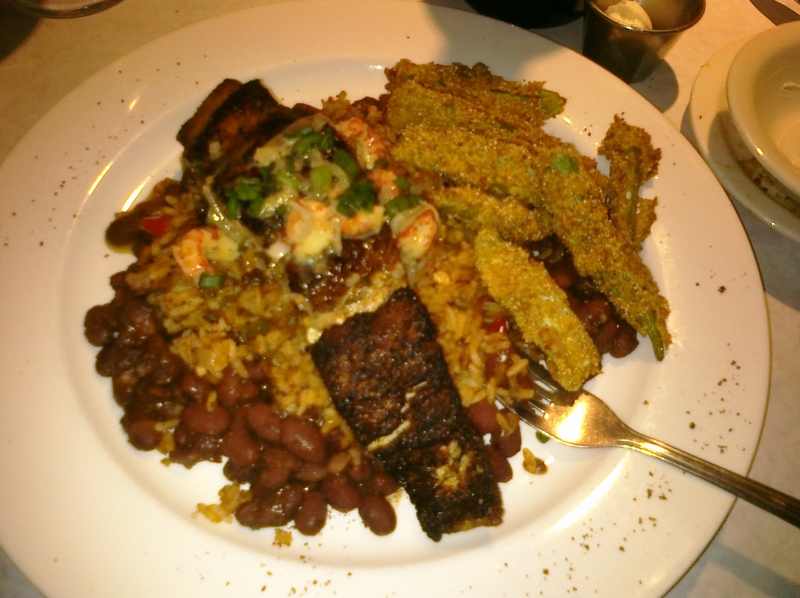 Au Peche Mignon is located in market square off Timberlane road. As you open the door the smell of baking bread, coffee and sugar greet you. 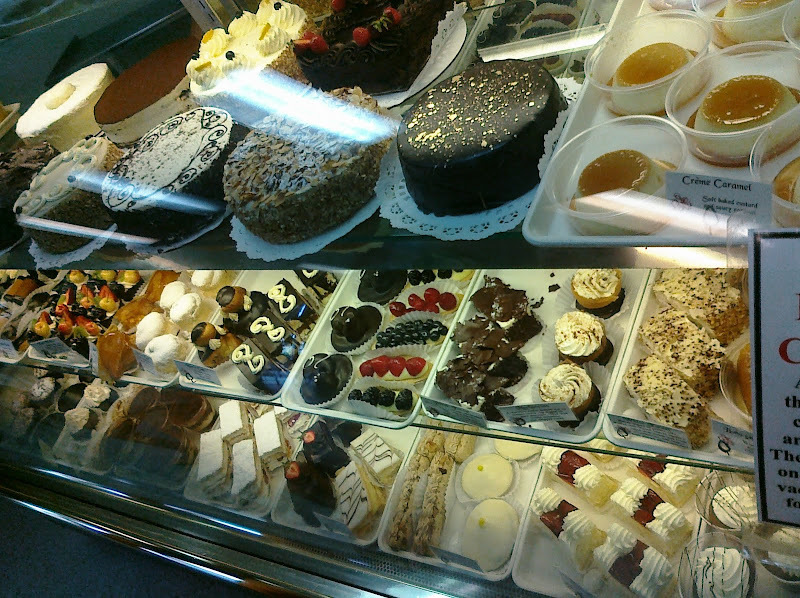 They have a fantastic selection of pastries and a case of gourmet chocolates. 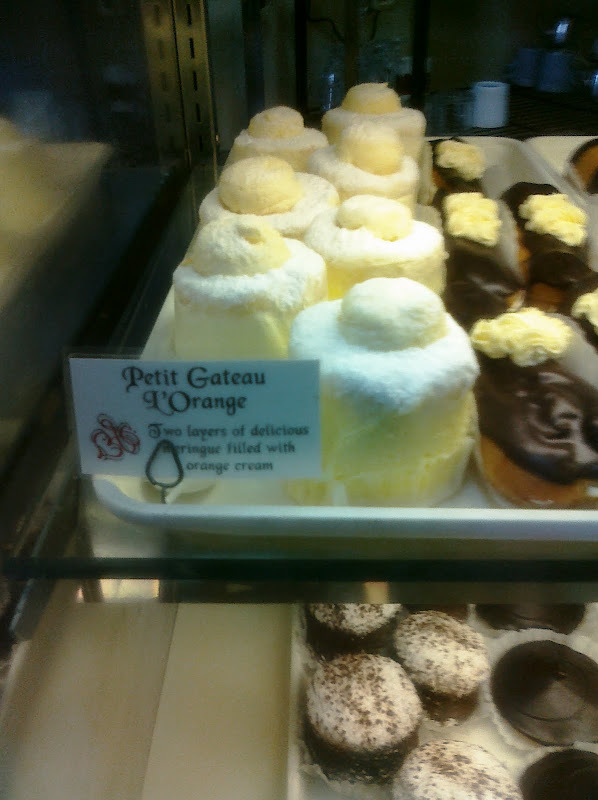 Jessi’s favorite- Petit Geteau L’Orange Light Meringue filled with Orange Cream. There are lots of choices so there should be something to satisfy anyones taste. The Cakes, Bread and croissants are excellent. And they make a very good espresso or Café au lait. I think of this as a to go place- There are just a few tables inside and out front and they are usually filled. Two trips in and I am happy to say there is finally good Thai food in Tallahassee! 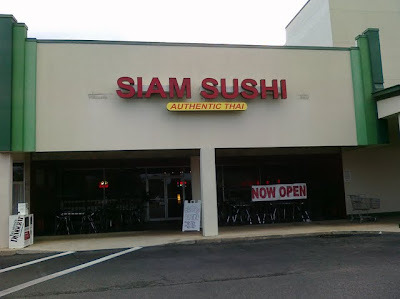 Siam Sushi is right next to the Lake Ella Publix in the old Hopkins Eatery Location. Since the name is Siam SUSHI with “Authentic Thai” in small letters underneath, I was prepared to be underwhelmed. Met a buddy for lunch and decided to try the basics. Steamed Spring Rolls, Pad Thai and Thai Ice Tea. The Peanut dipping sauce for the spring rolls was the perfect peanut flavor without just tasting like watered down peanut butter. 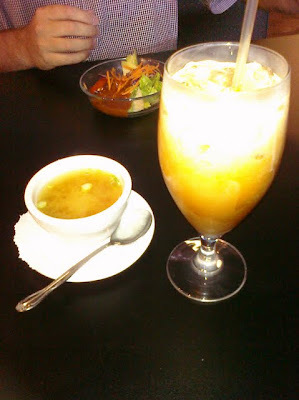 The Thai Ice tea was creamy and full bodied and the Pad Thai was right! It was fresh and the flavor was excellent. I know the Miso Soup is not Thai but it was good! Tonight I returned with Jessi. 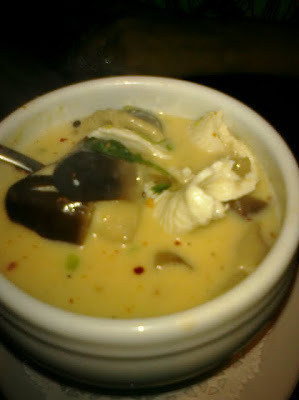 We started with a big bowl of Tom Kha- Creamy Coconut milk soup and Hiyashi Wakame- Cold seaweed salad marinated in sake. I know the Wakame is Japanease but it sounded great and it was a larger portion that you usually get in a Sushi restaurant- I could taste the Saki and there was a sprinkling of flying fish row on top. 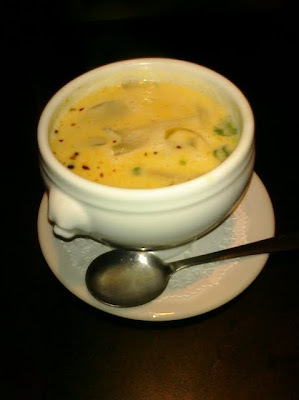 The Soup exceeded our expectations-there were Thai mushrooms and real lemongrass in the bowl. 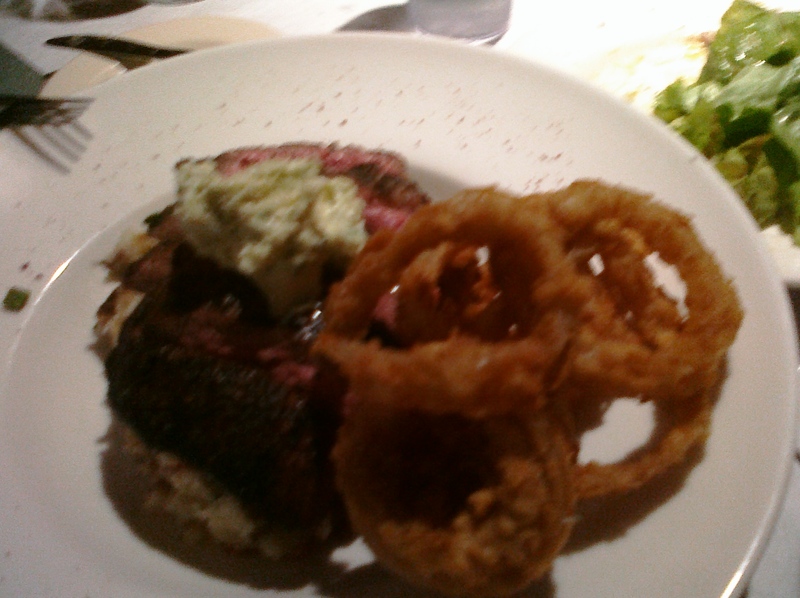 Rich and creamy, it is the best we have had since coming back to Tallahassee. Jessi liked the fresh cilantro and chopped scallions on the top. For dinner Jessi ordered an Ivory Roll, Chicken tempura, cream cheese, avocado, asparagus, wasabi lime mayo. It was big and very tasty- she was happy. 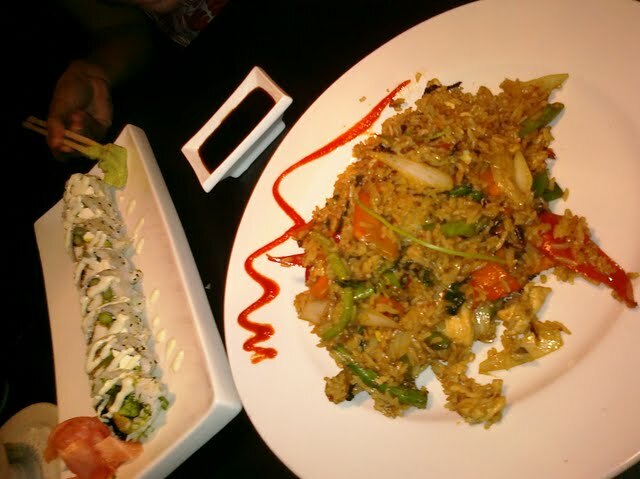 I got the Basil fried rice with chicken- Oh my! The smell of fresh Basil was amazing. It was very well seasoned and is so beyond is description of fresh basil, onions, bell peppers and carrots. Next time I’m trying the Panang curry! 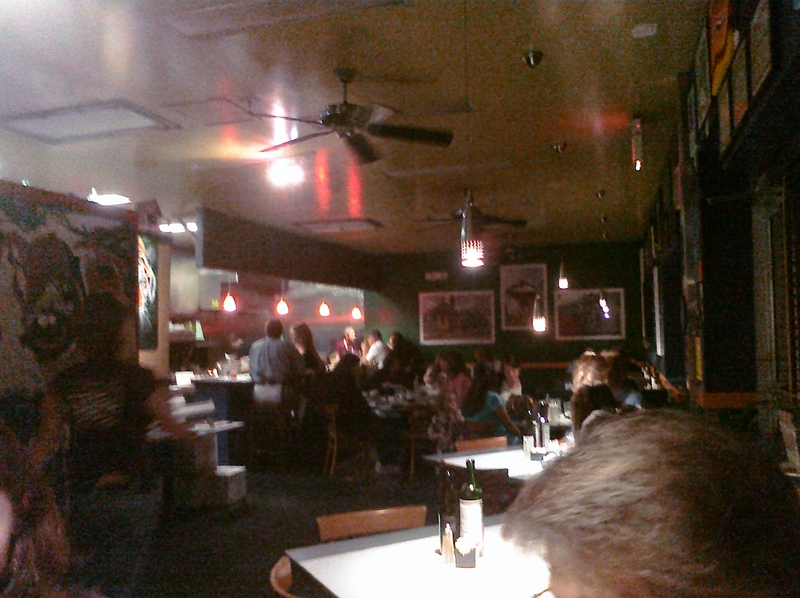 Dress is Business casual- The restaurant has a nicer atmosphere in the evenings. 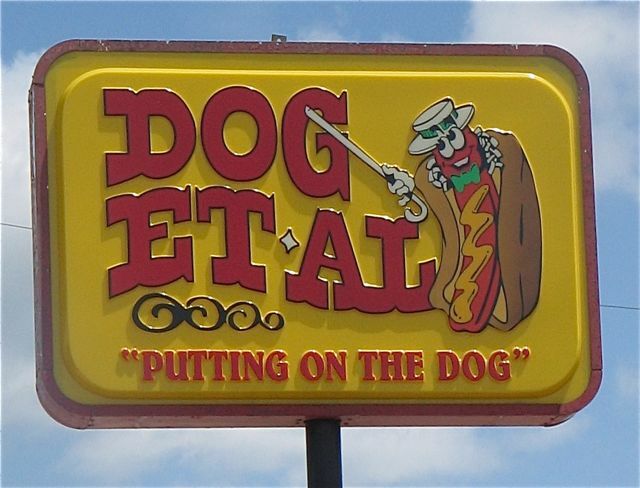 Today is National Hot Dog Day so I had to take some time to review Dog Et All, This place is no ordinary hot dog stand…its been featured in Southern Living! 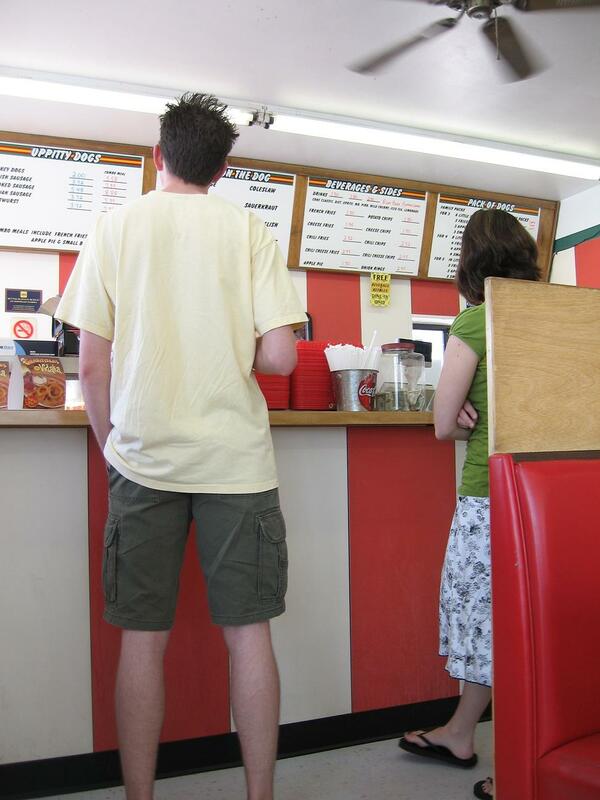 This classic hot dog shop is located on South Monroe and feels like you stepped back into the 50’s The walk up counter, checkerboard floors, friendly staff and eclectic customers make this place a Tallahassee Classic!! When you go to the counter be sure to ask what kind of dogs they have… you will get the TOUR OF DOGS. 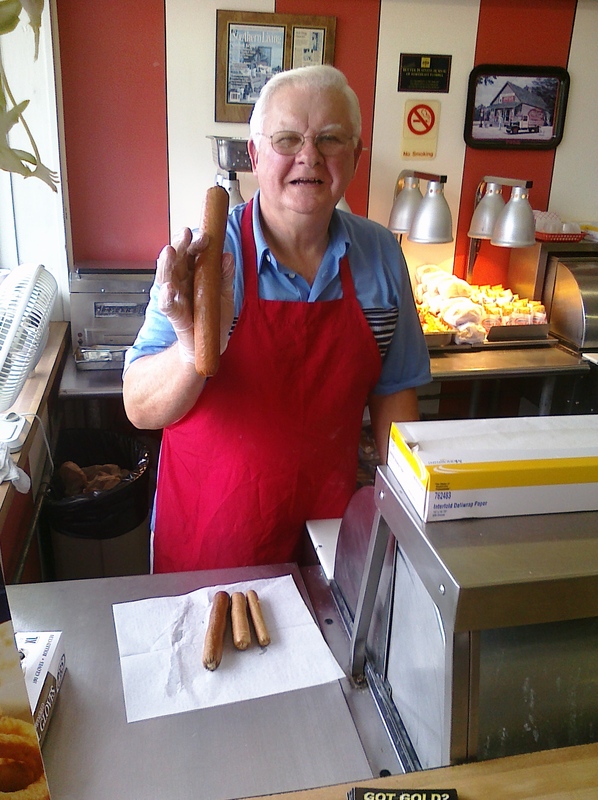 You got your Little Dog, Big dog, Supper Dog, Footlong Dog, BigFoot Dog, Polish sausage…. and the list goes on! Order up a combo and you get your dog with home made chips, drink and a pie! You can add the following to your dog at no additional charge! 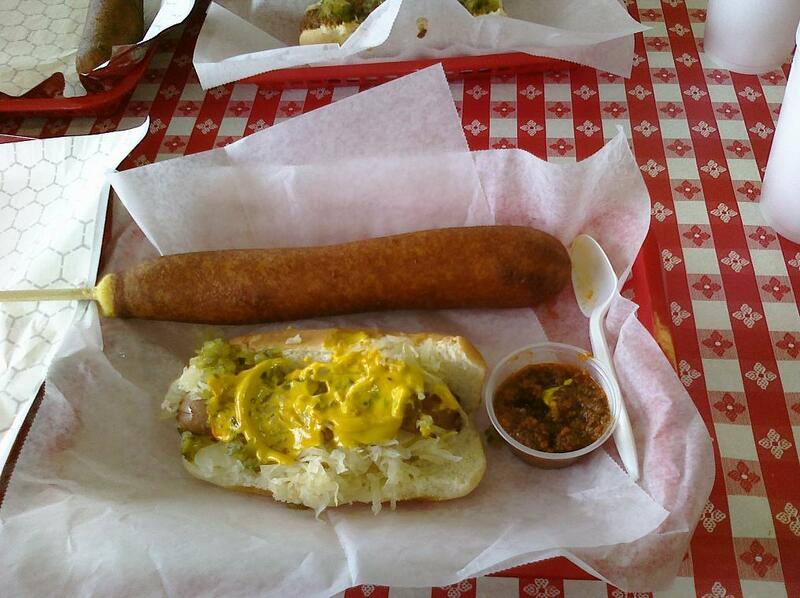 My favorite is the Big Corn Dog. They are fresh dipped in a very tasty batter!! 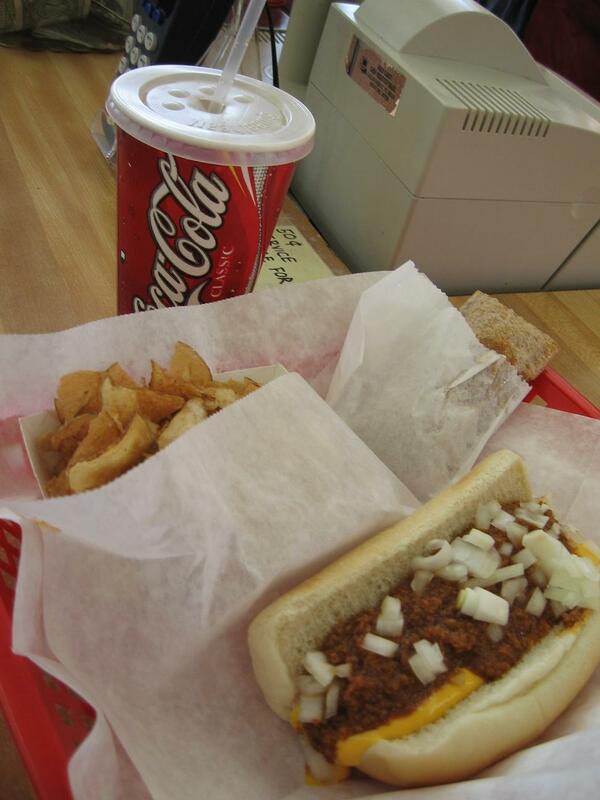 So go celebrate National Hot Dog Day at Dog Et All!